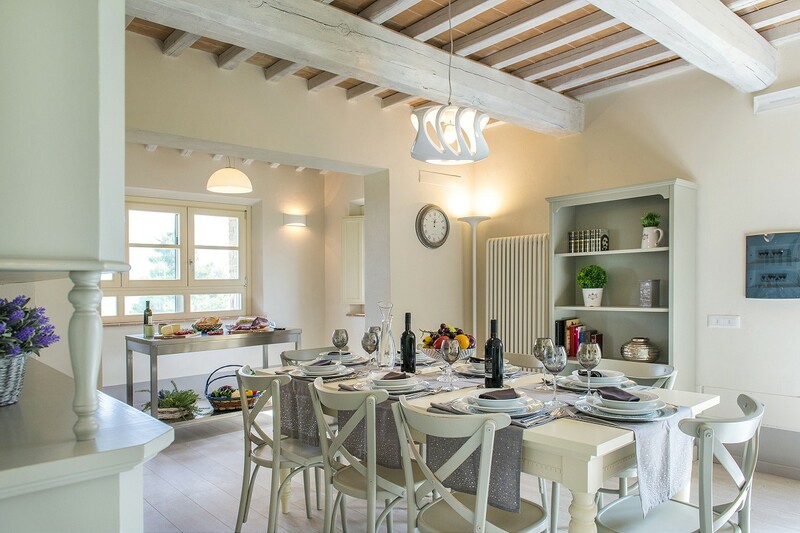 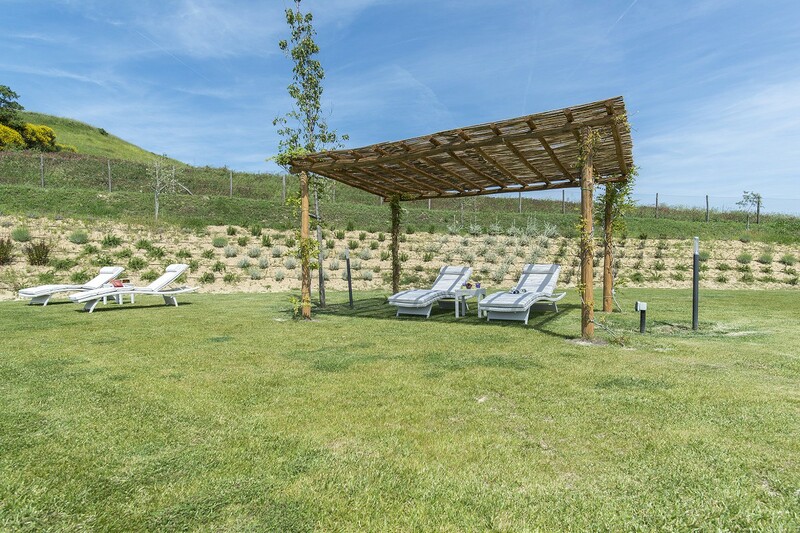 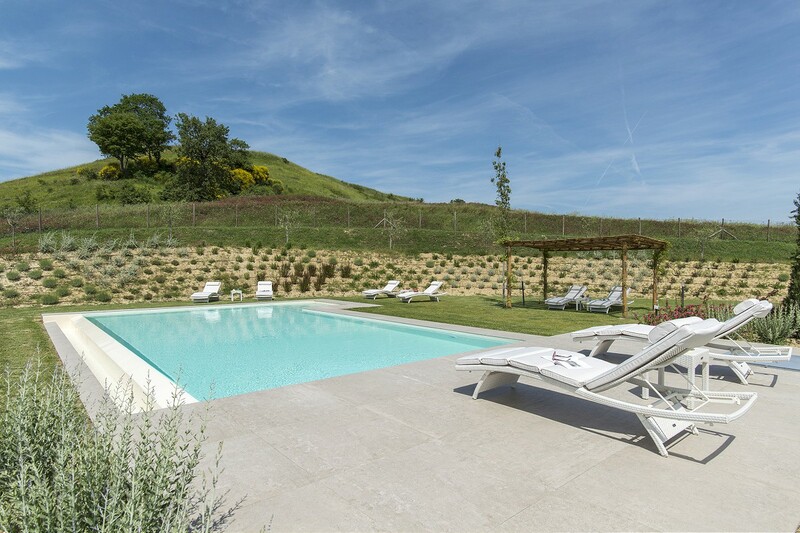 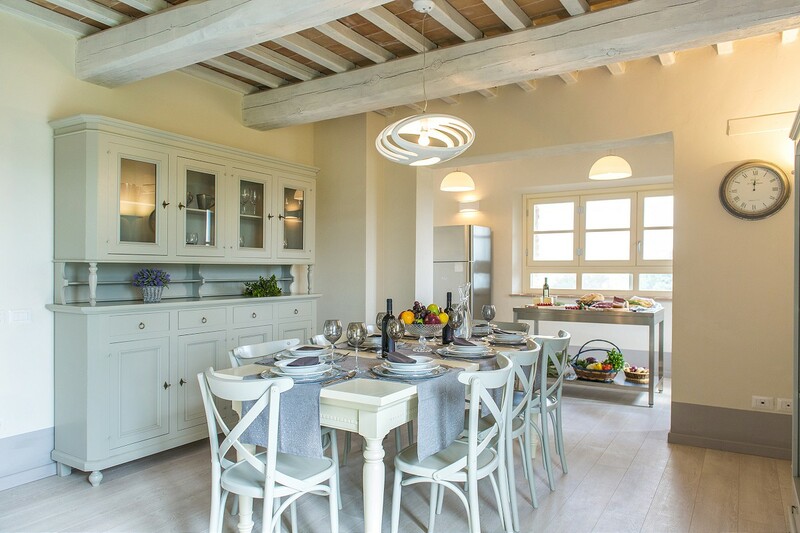 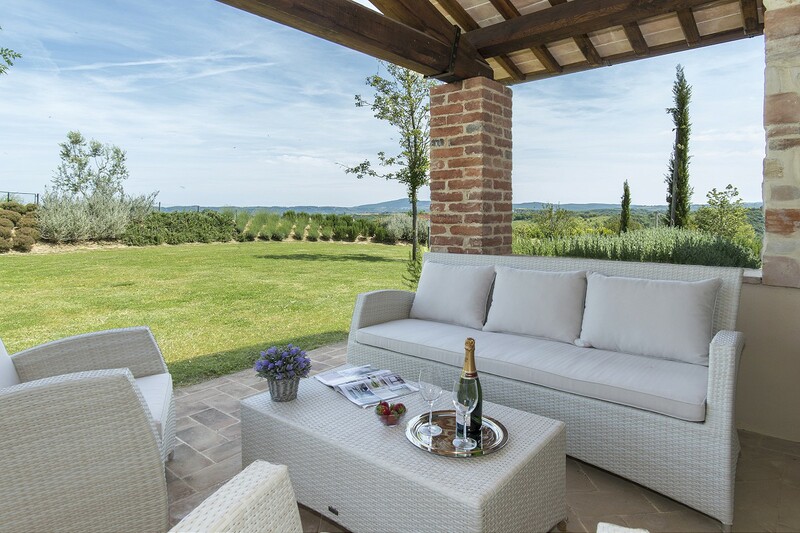 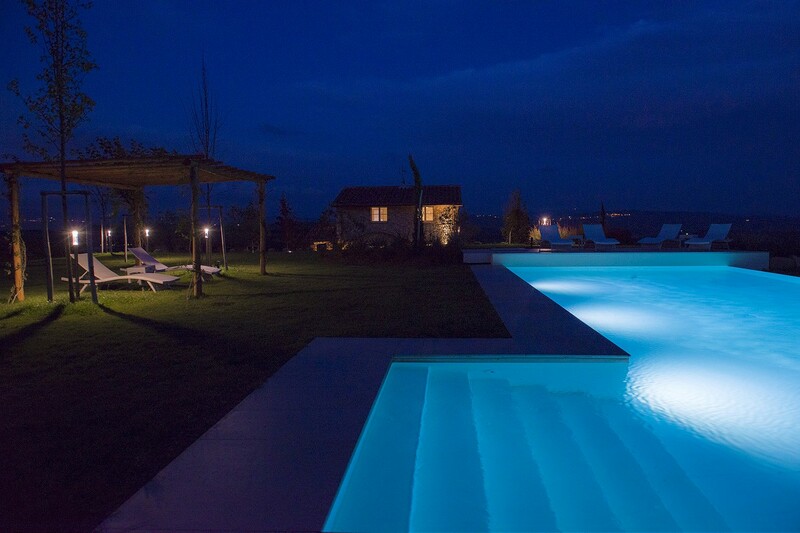 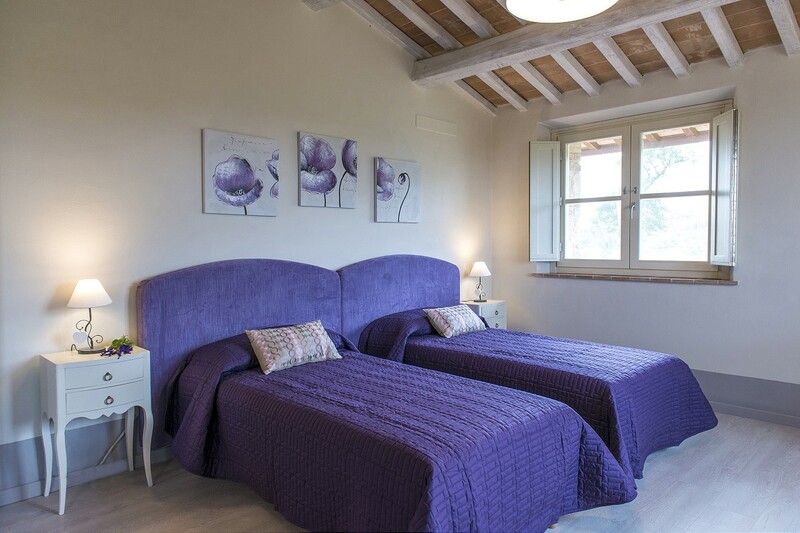 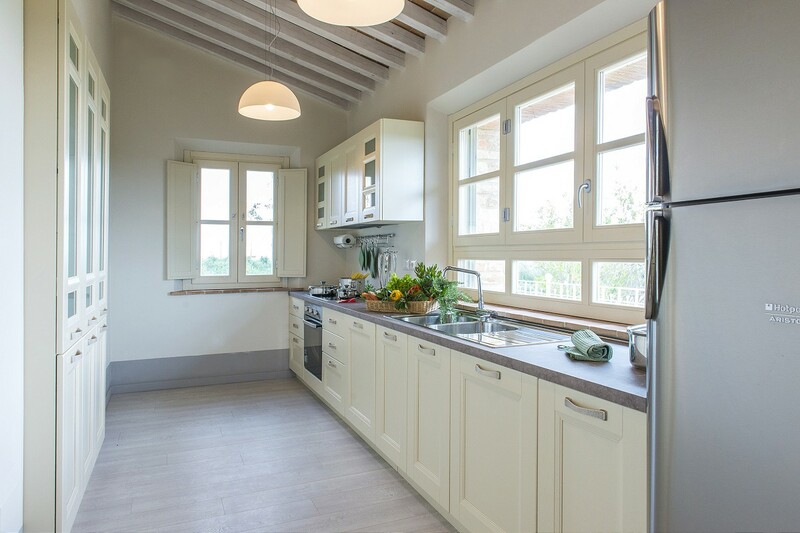 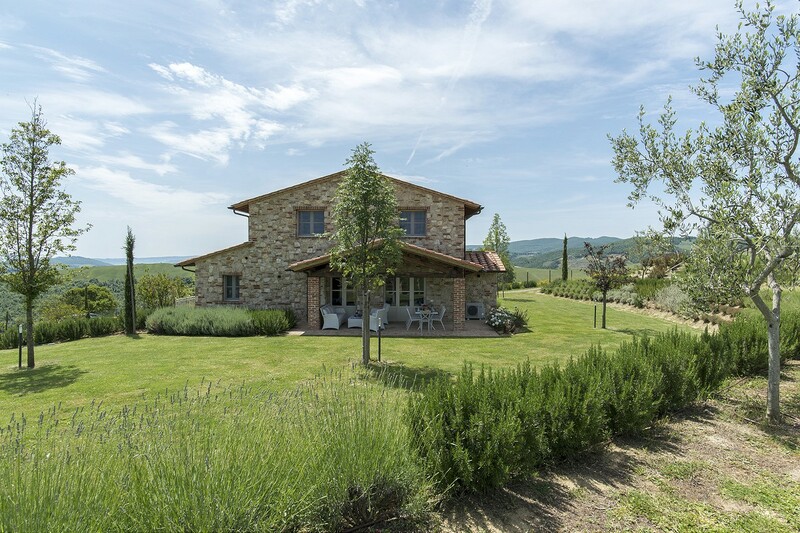 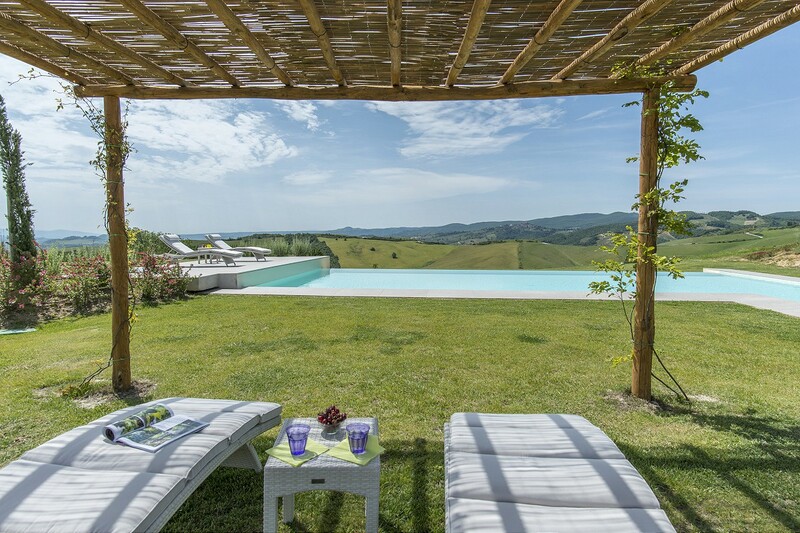 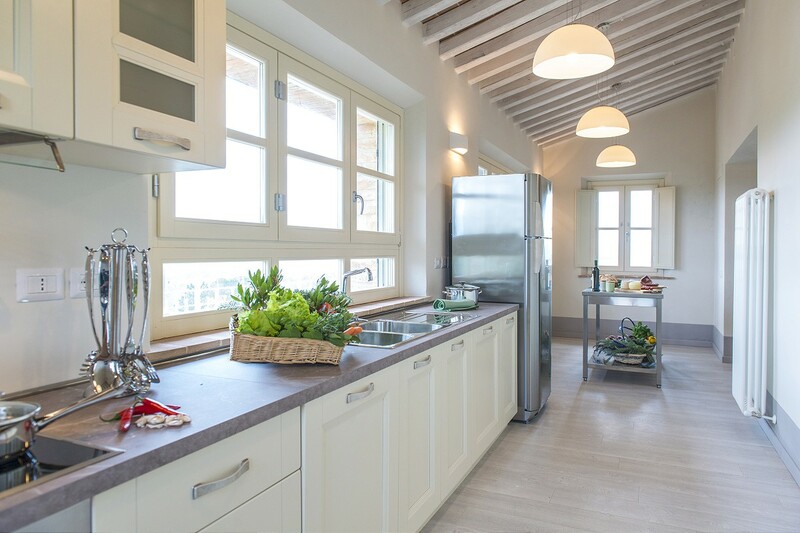 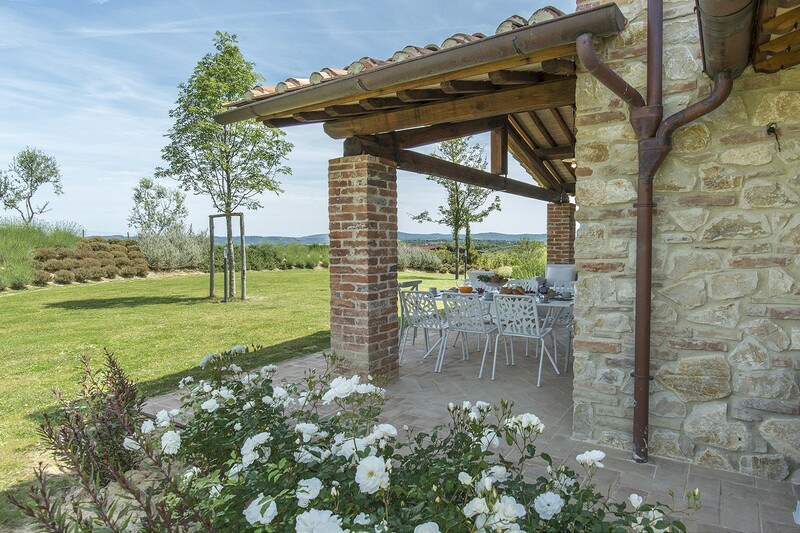 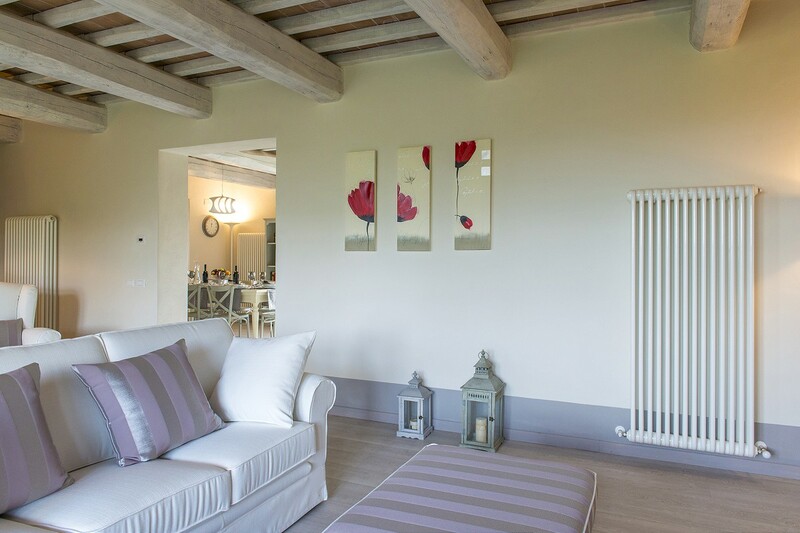 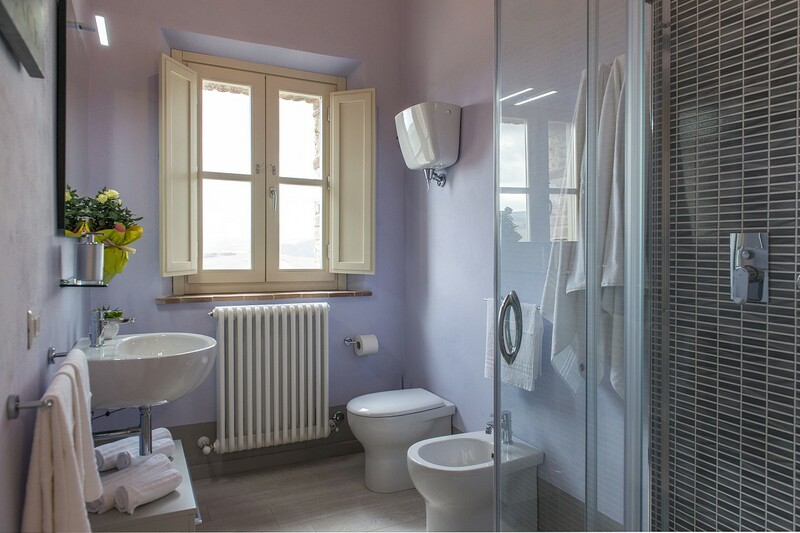 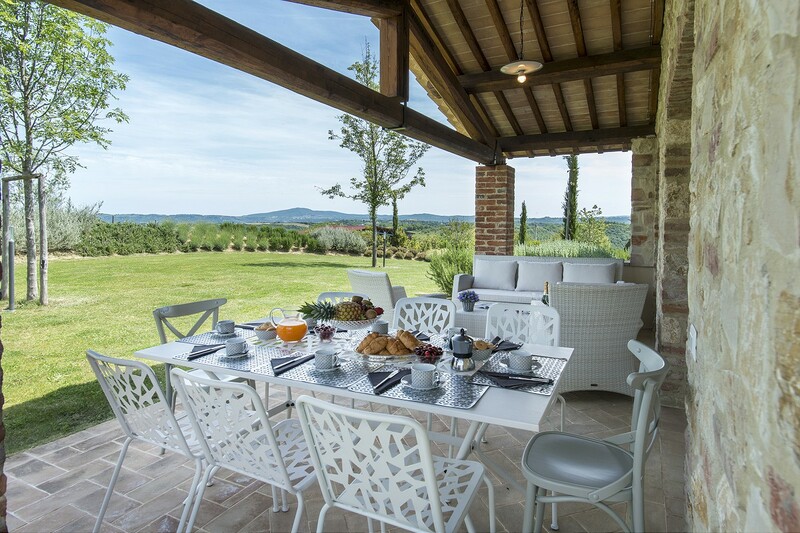 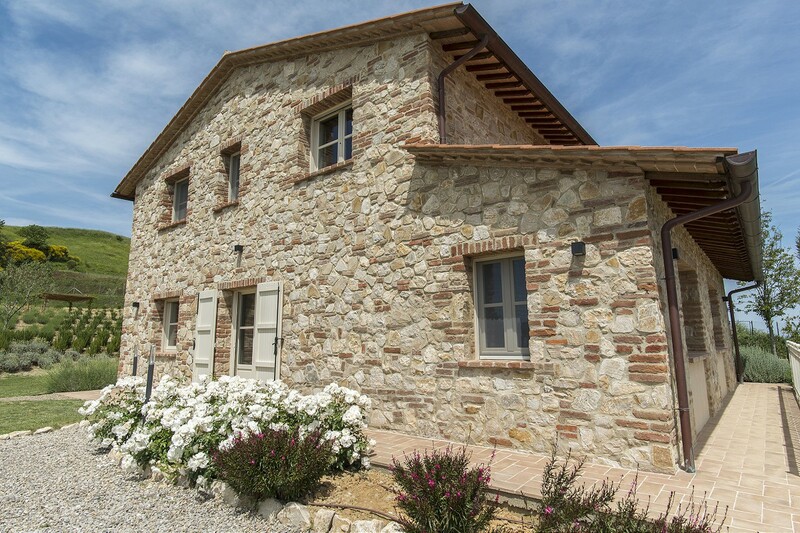 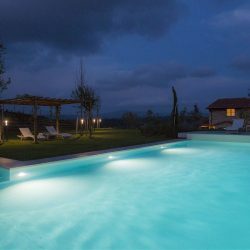 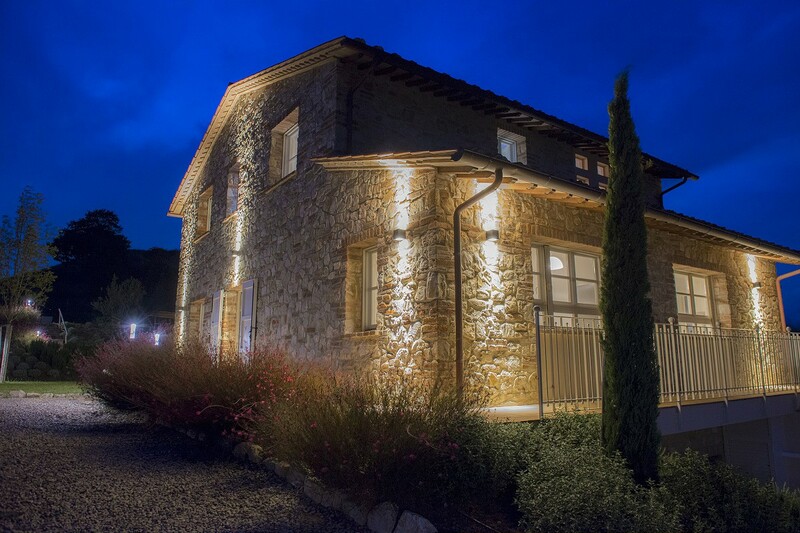 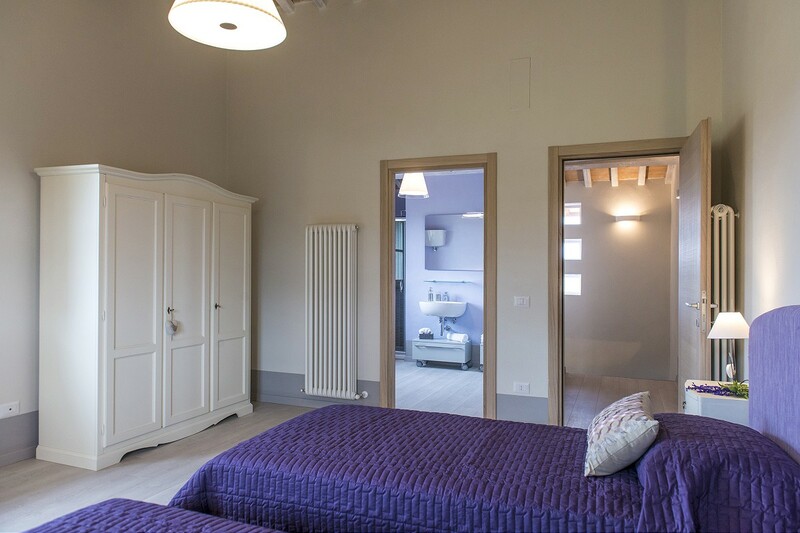 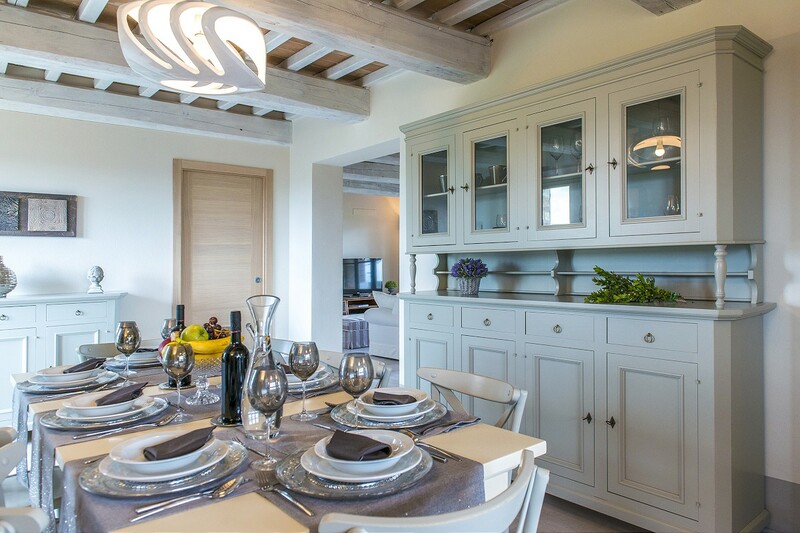 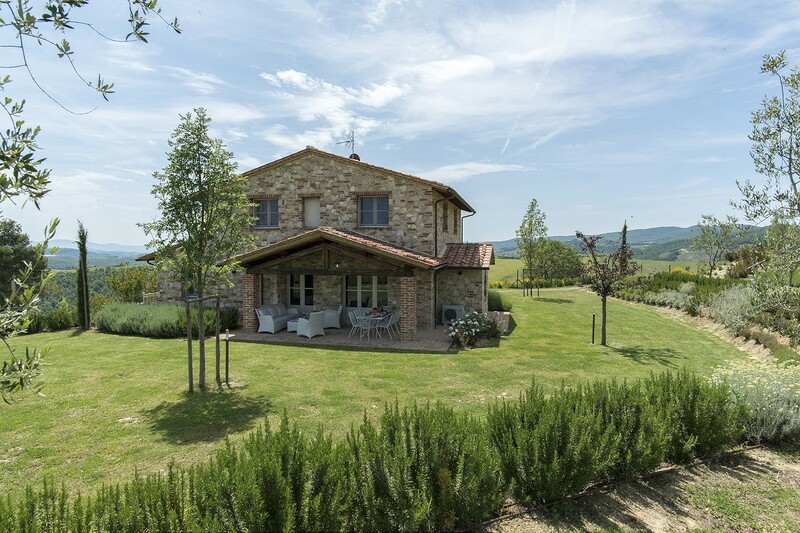 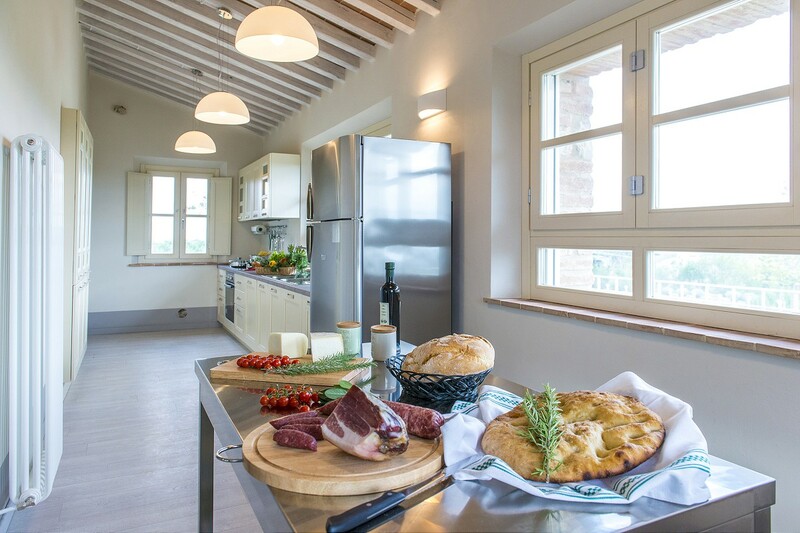 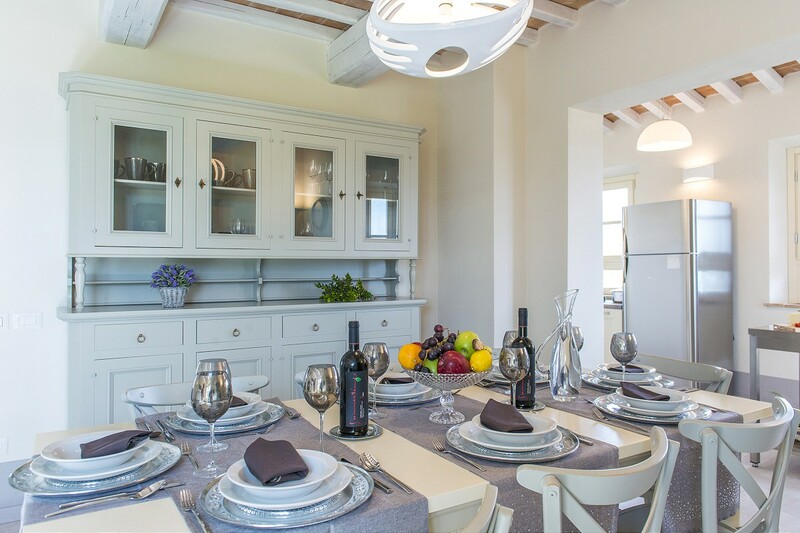 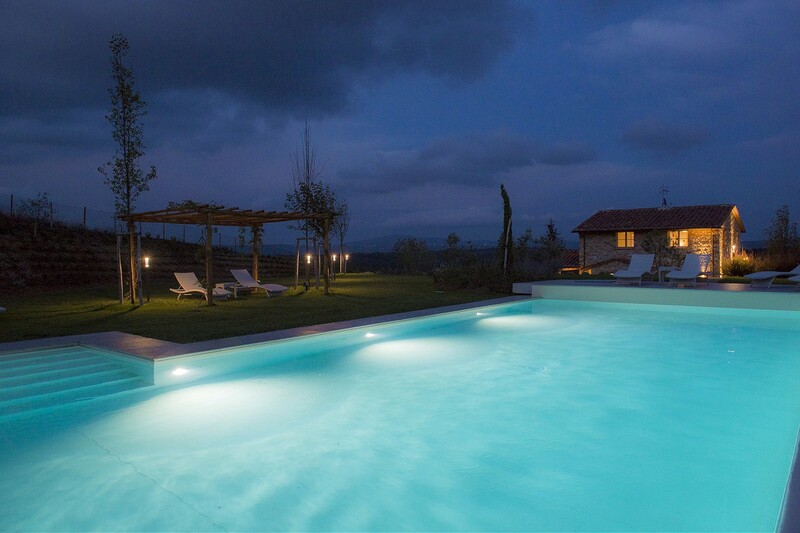 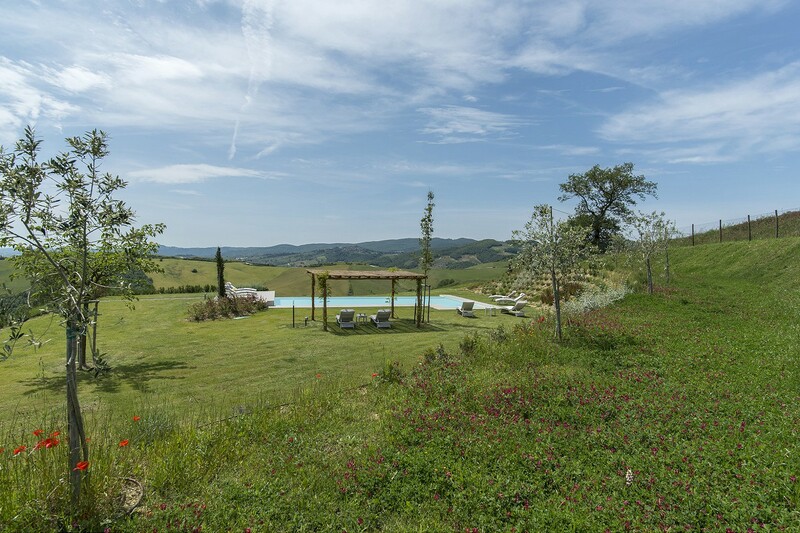 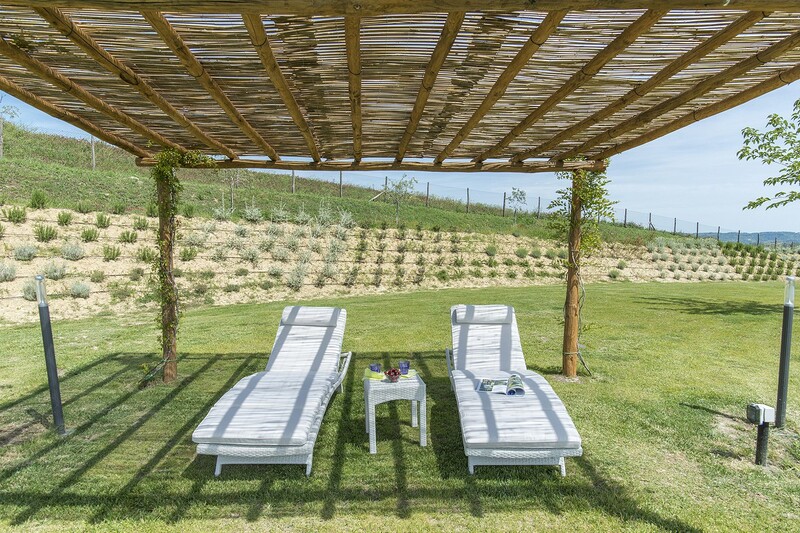 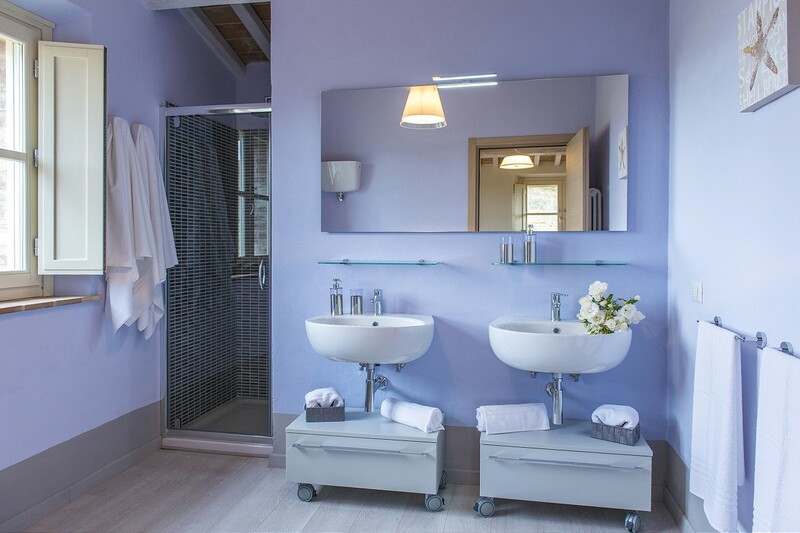 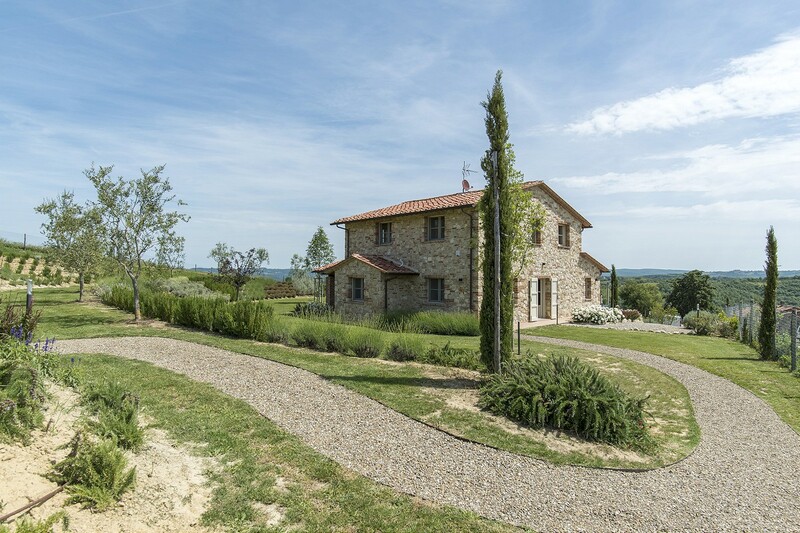 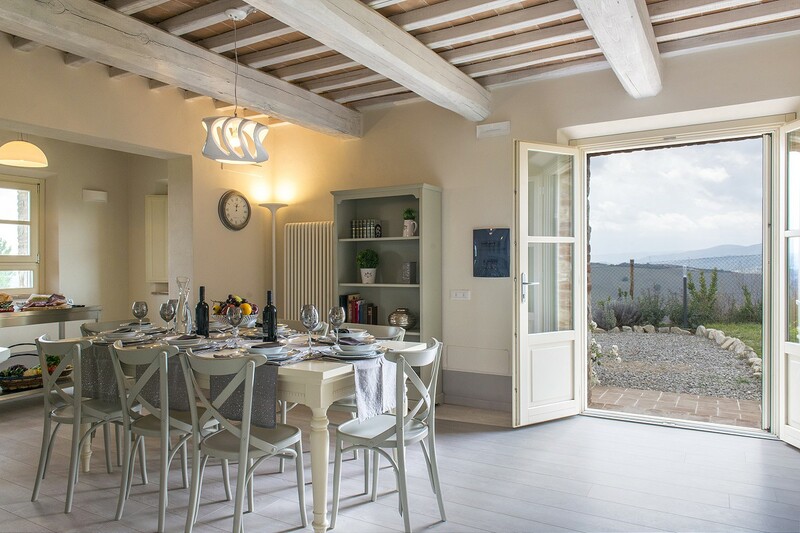 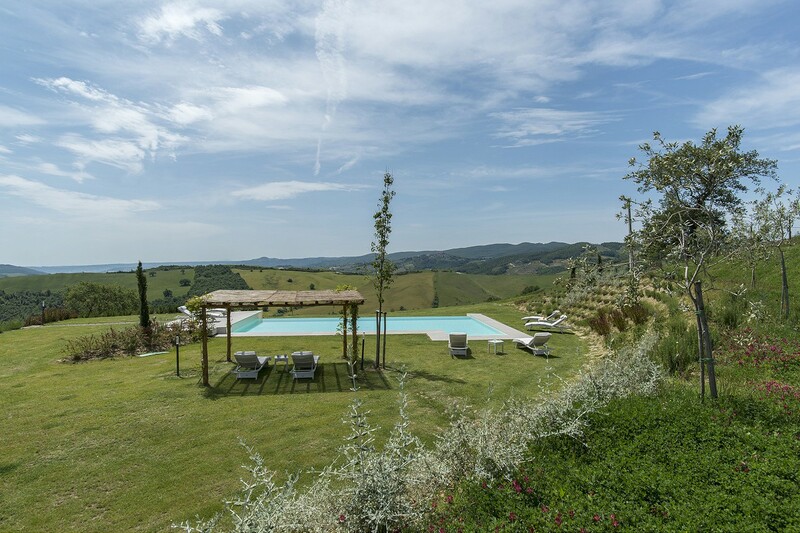 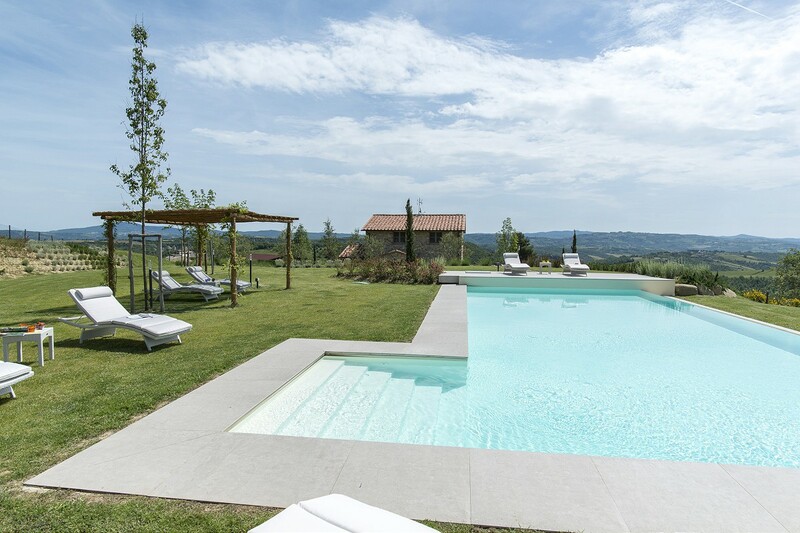 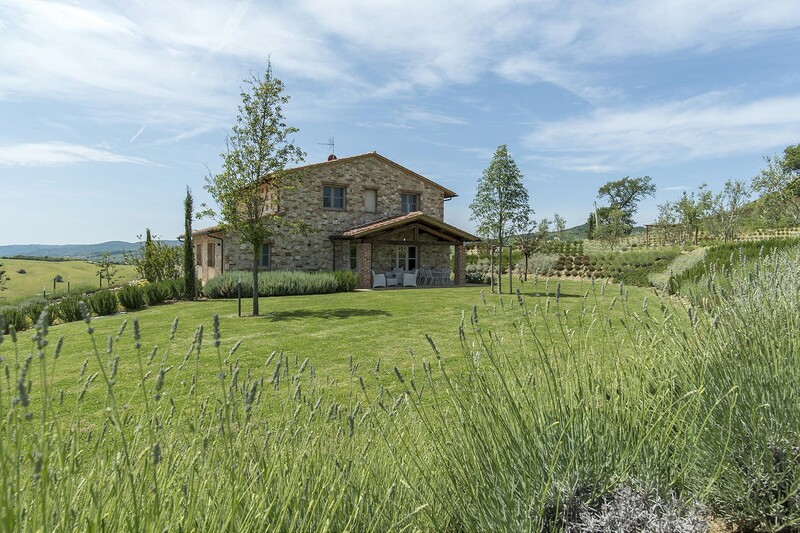 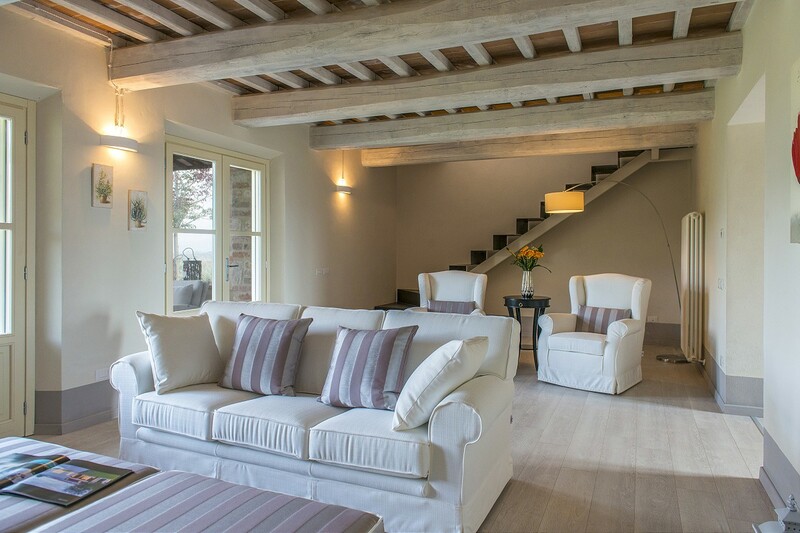 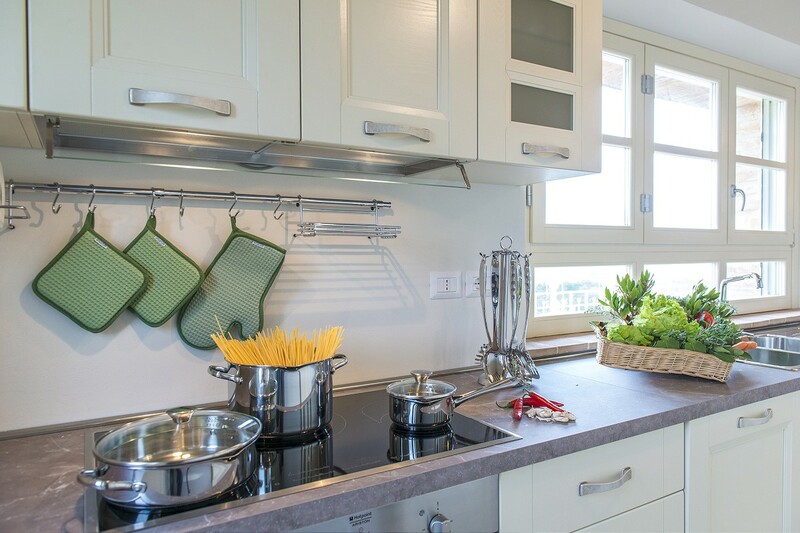 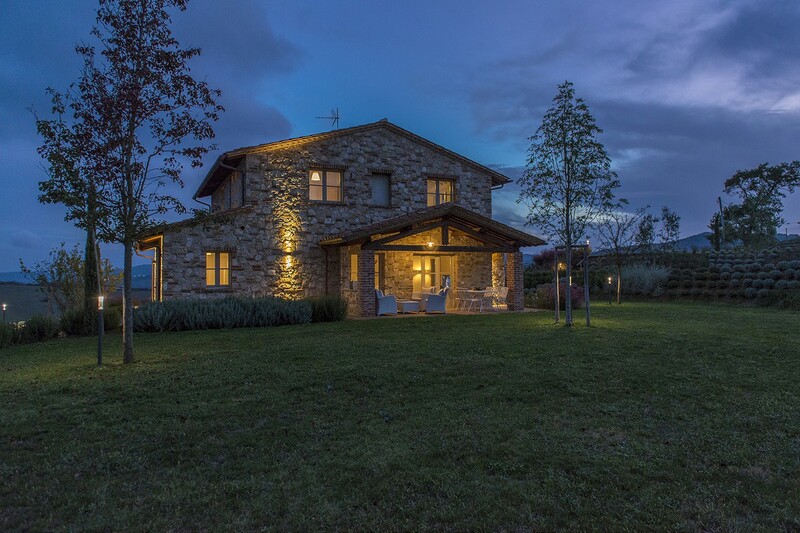 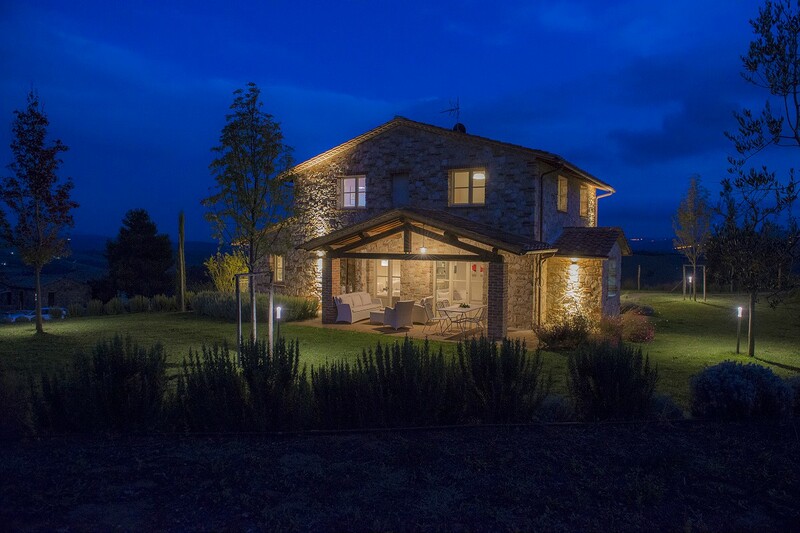 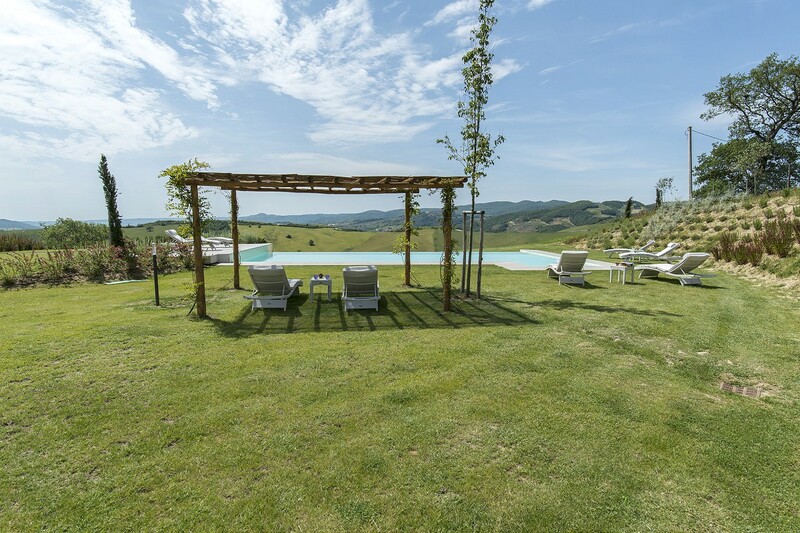 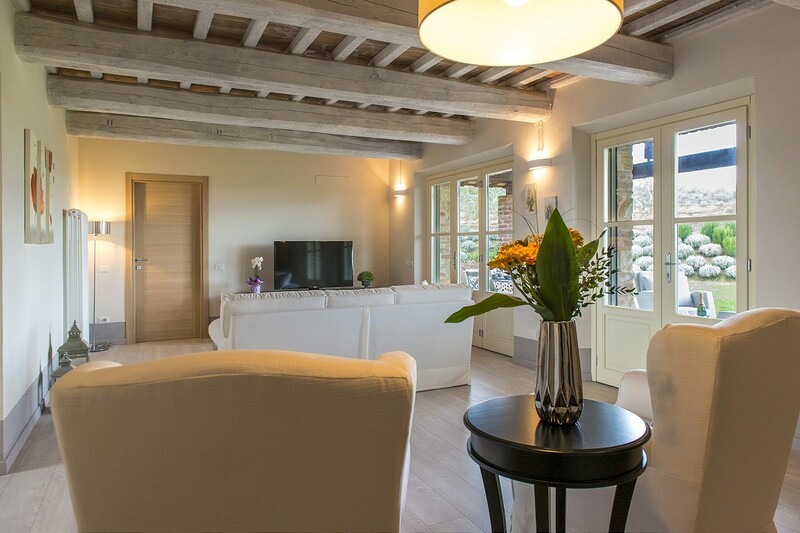 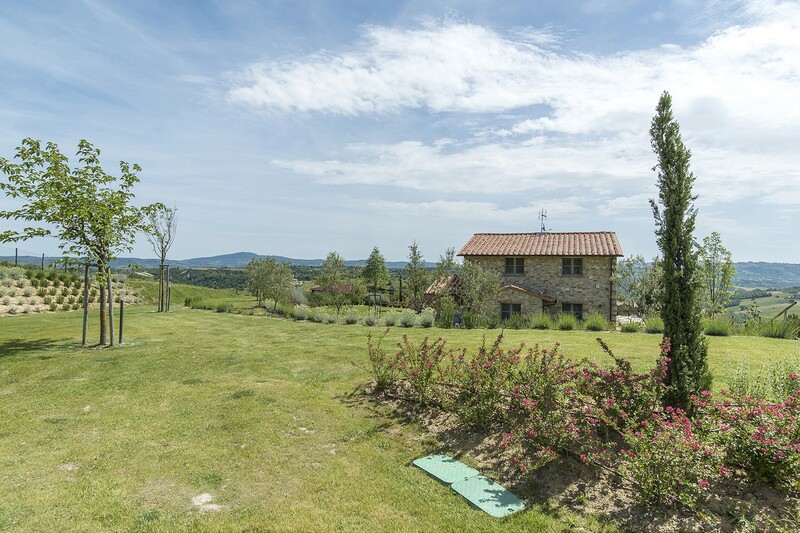 Newly built perfect stone house with fantastic views of the Umbrian countryside and Orvieto. 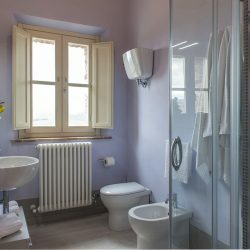 320 sqm. 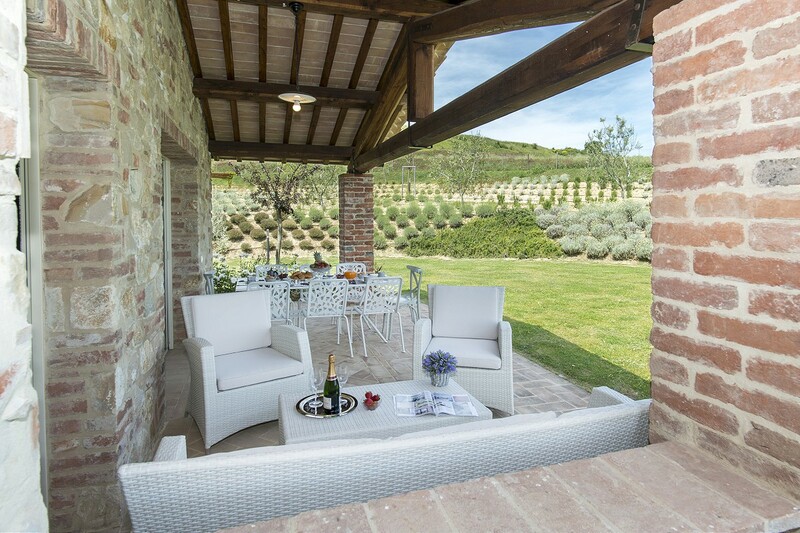 Pool, loggia, basement. 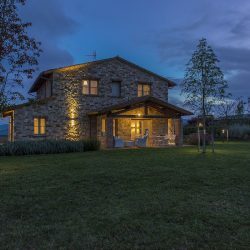 Umbrian House. 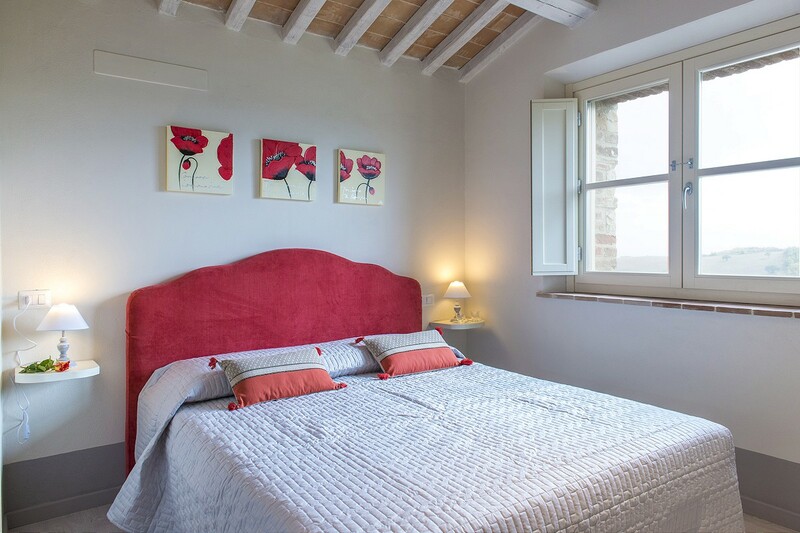 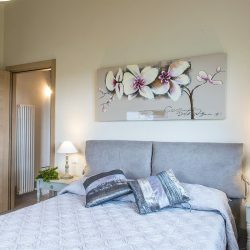 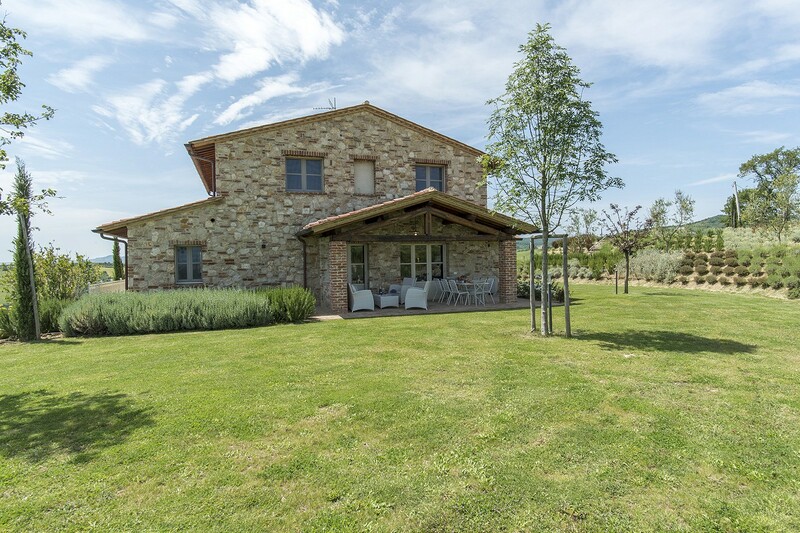 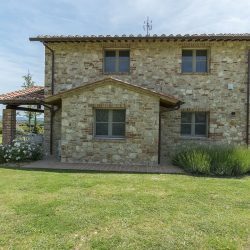 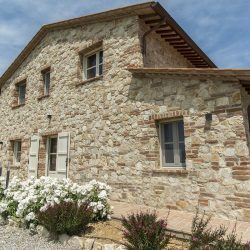 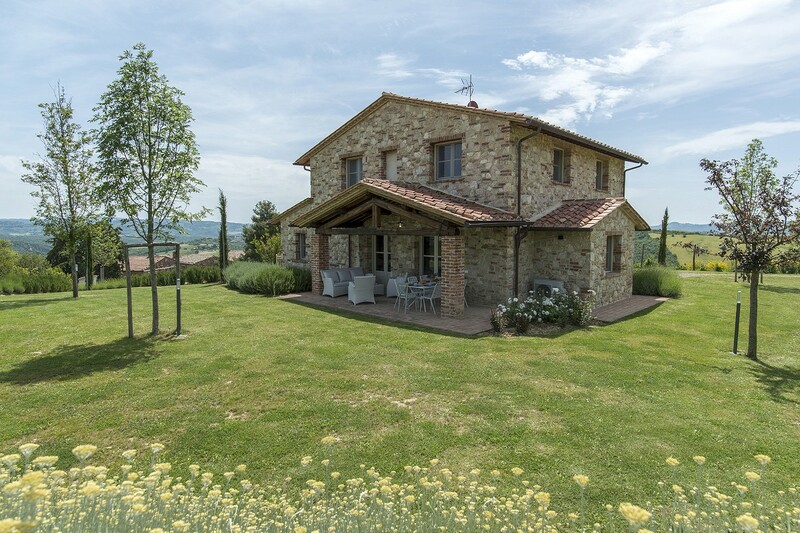 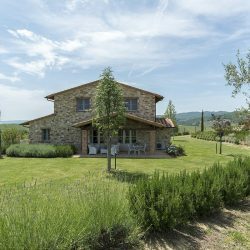 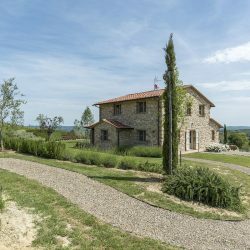 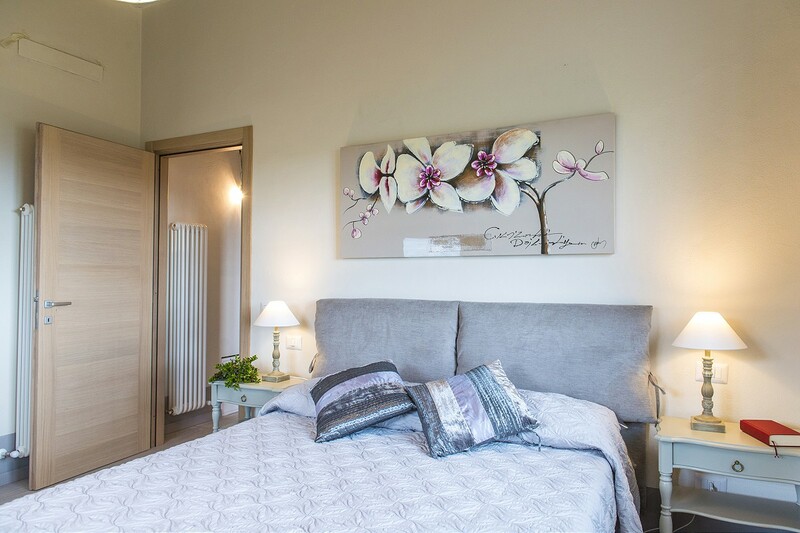 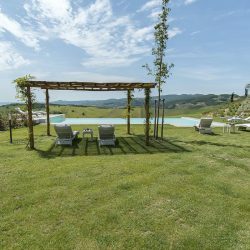 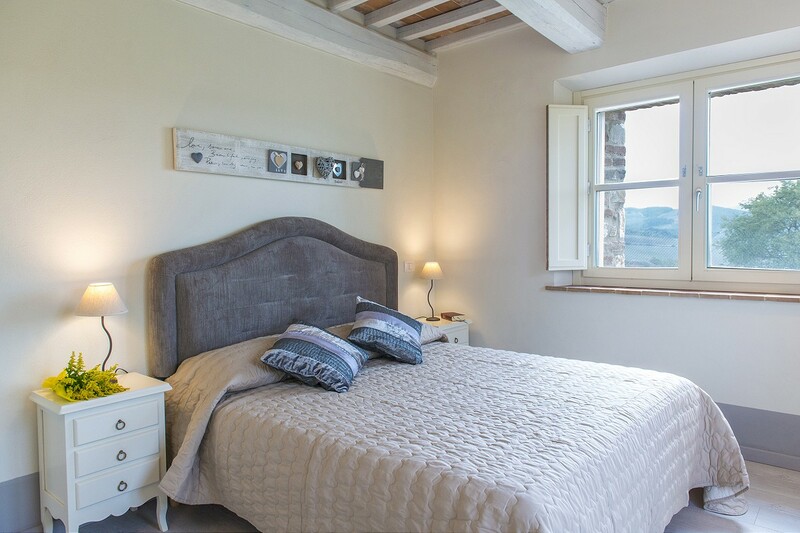 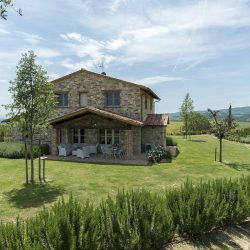 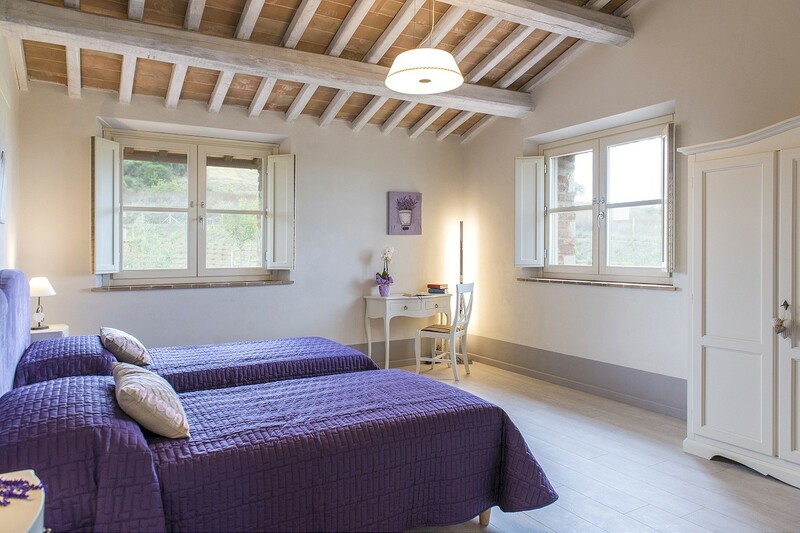 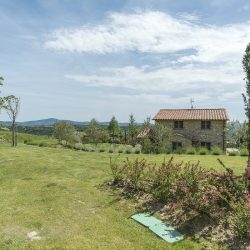 In a dominant position, this perfect stone house is in a peaceful and private location with an unforgettable view of Orvieto and the countryside. 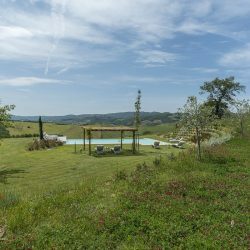 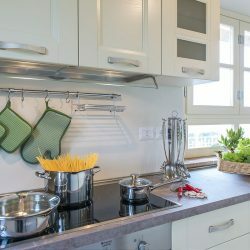 Its strategic location means the cultural cities of Umbria and Tuscany can easily be reached, as can Rome and Florence. 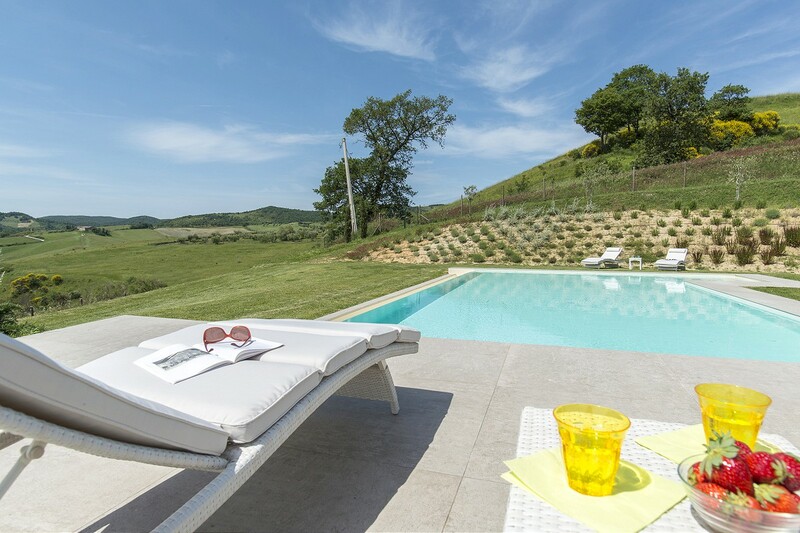 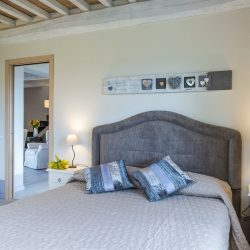 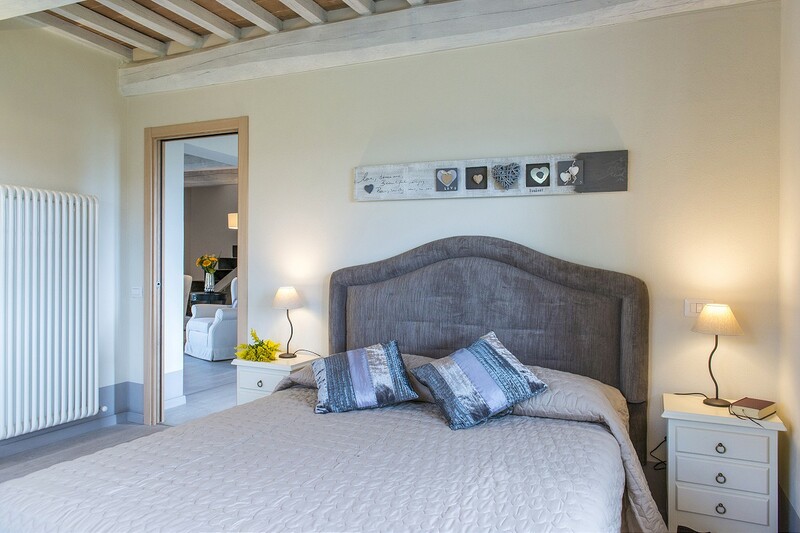 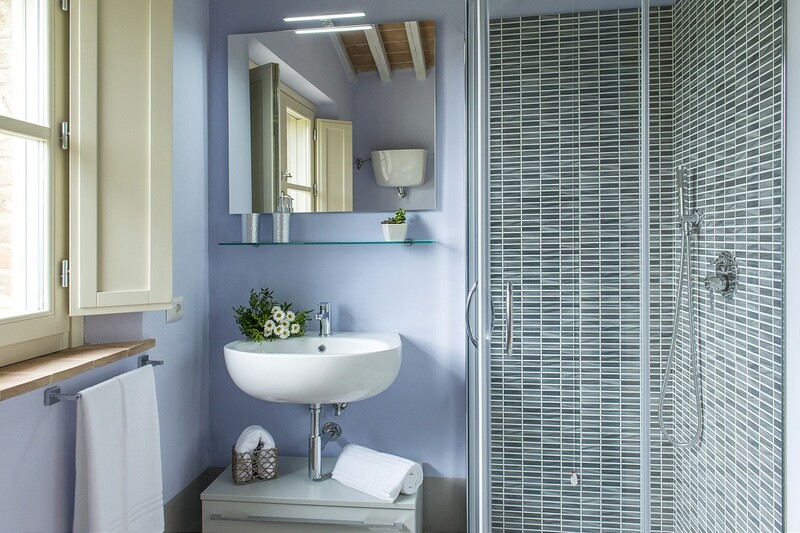 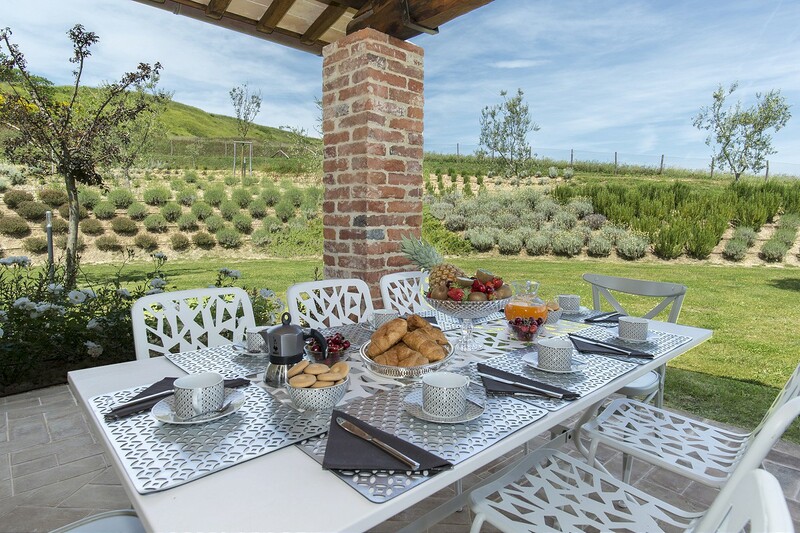 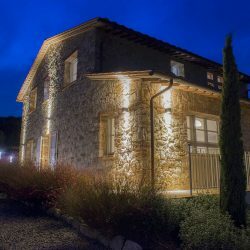 The property comprises a characterful house of 320 sqm arranged on is on 3 floors with a garden, beautiful infinity pool and two hectares of land. 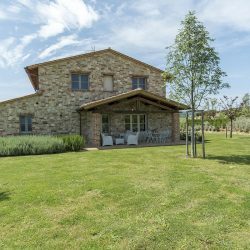 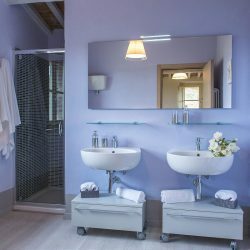 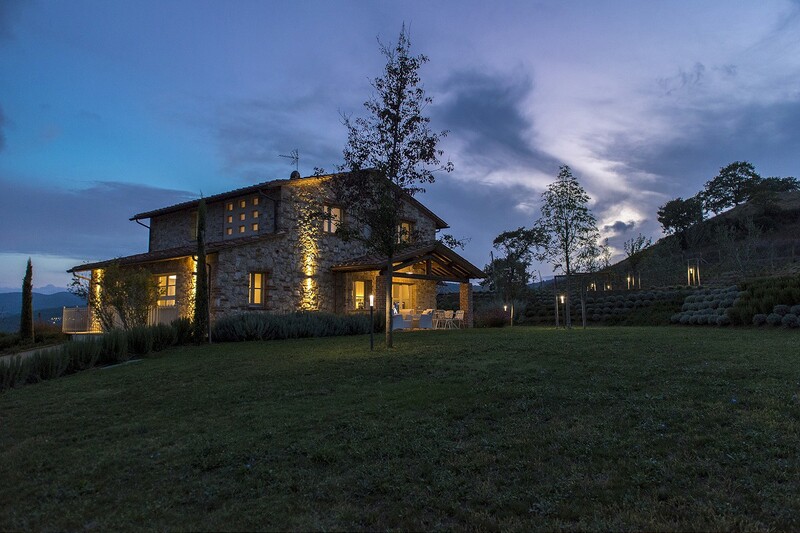 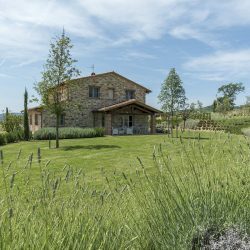 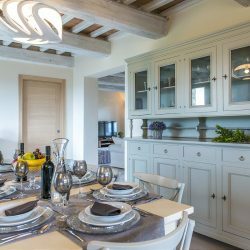 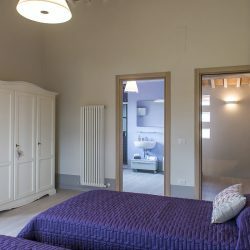 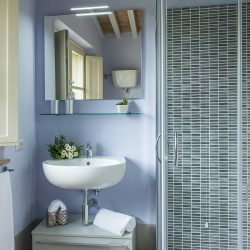 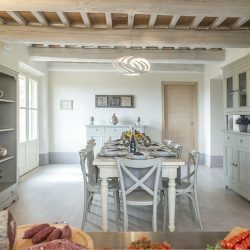 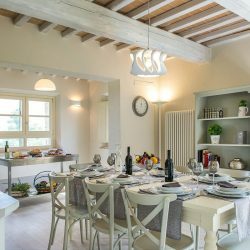 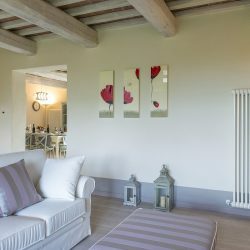 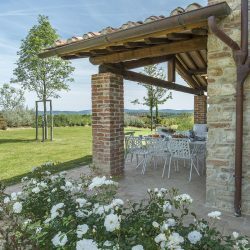 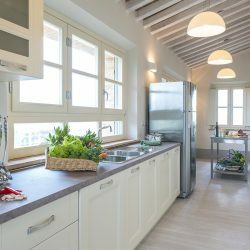 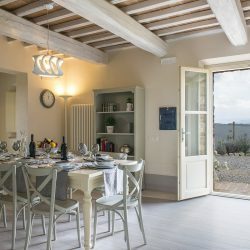 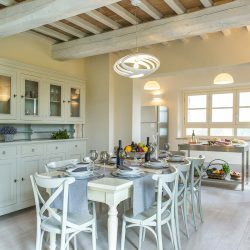 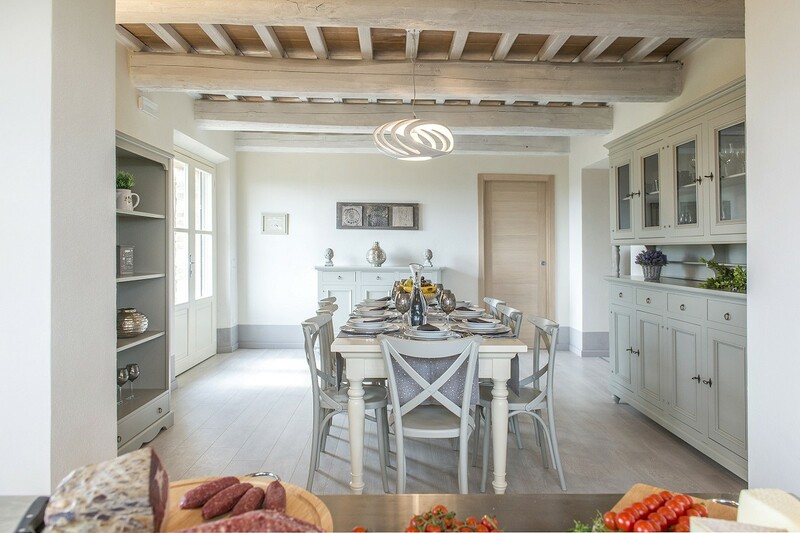 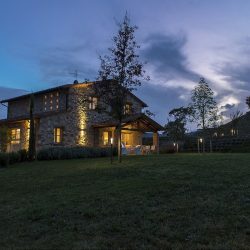 Built in 2016, it has all the character of a ancient Umbrian farmhouse, with stone exterior, beams and parquet flooring. 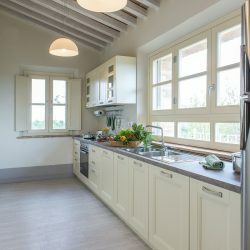 Unlike an old farmhouses however, its recent age has allowed it to have modern construction features such as large windows overlooking the garden which fill the rooms with light. 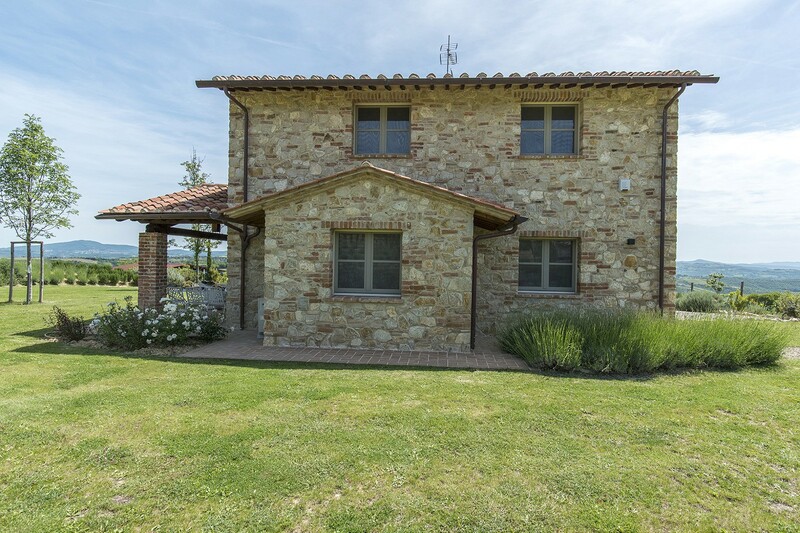 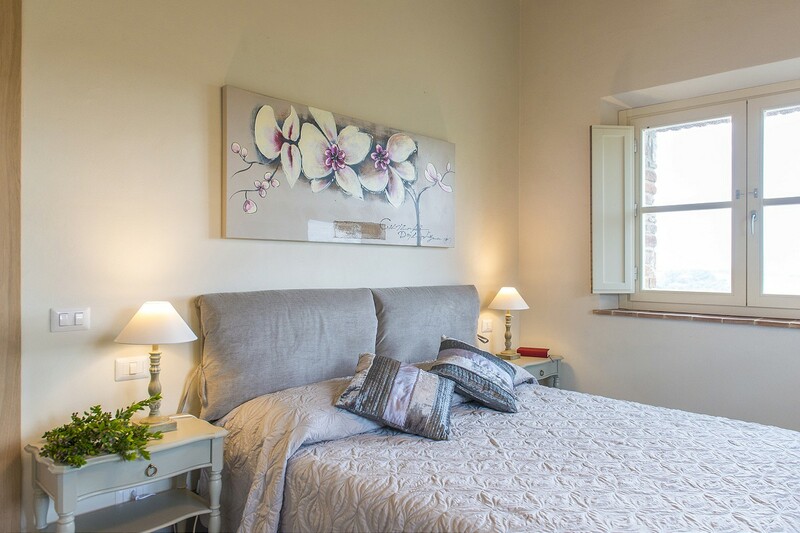 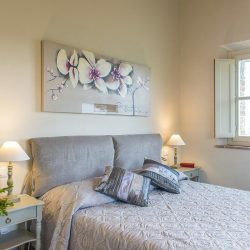 Ground floor: Large living room, dining room, kitchen, double bedroom, bathroom, loggia. 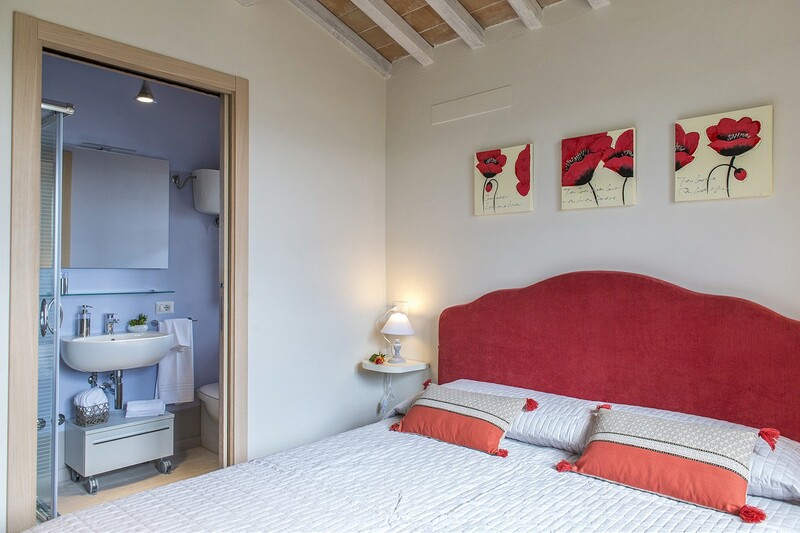 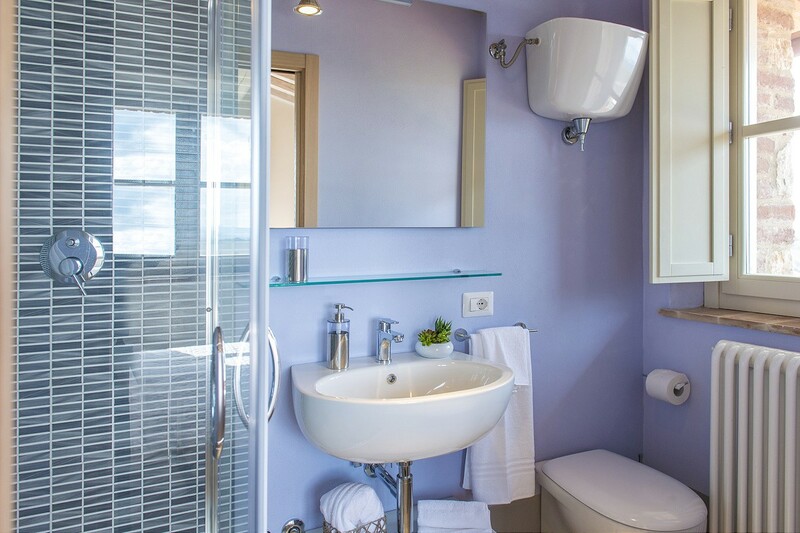 First floor: 2 bedrooms with ensuite bathrooms, bedroom, bathroom. 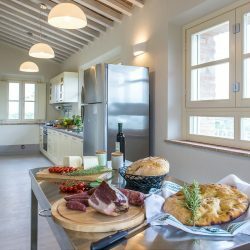 Basement: Can be converted into gym/sauna/Jacuzzi etc. 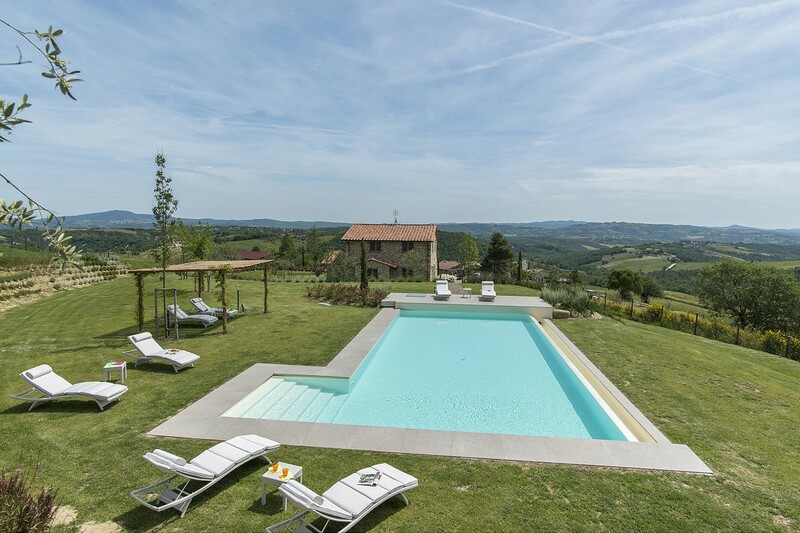 A large garden surrounds the house with a wonderful infinity pool and 2 further hectares of land. 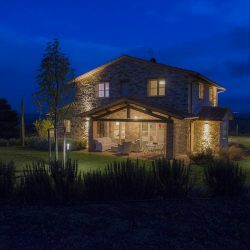 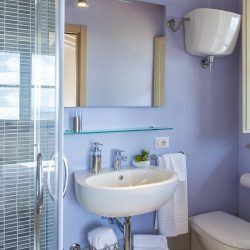 Phoneline, wifi, LPG heating, mains water, alarm system, air conditioning.